South Thailand is known for the sun, sea, sand and seafood, but here are 5 more unusual products from the southern islands and how to get a taste of them. Head south from the capital of Bangkok and you'll experience the azure treasures that are Thailand's southern islands. Phuket, Krabi and Ko Samui are just some of the beautiful islands to the south of Thailand. While they are best known for sun, sand and sea, these islands are also home to a wide array of native produce from seafood to wild vegetables. Here are five unusual ingredients indigenous to South Thailand that you should know. Photo courtesy of Trisara hotel. Ever had a crush on crustaceans? For anyone who has visited Phuket, this may sound like a familiar feeling. 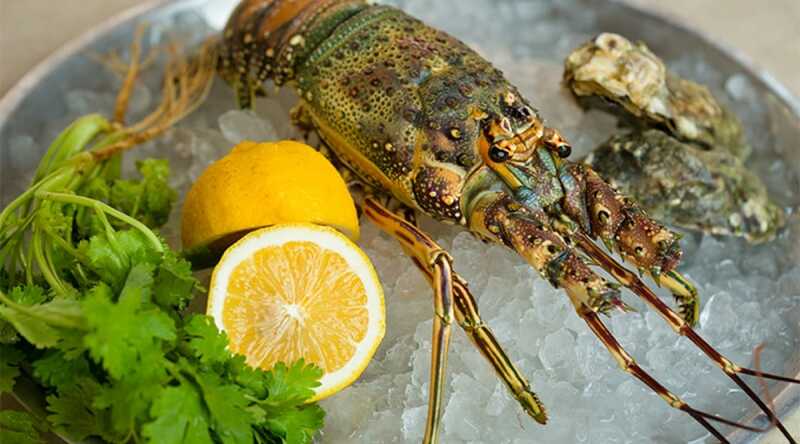 Sink your teeth into the firm, succulent and sweet-tasting meat of Phuket and you’ll never want to taste anything else – after all, it’s not known as the king of crustaceans for nothing. Where to go: There are lots of restaurants in Phuket and Phang-nga but fresh markets are always fun to explore. Rawai Sea Gypsies Market is one of Phuket’s more popular markets. Some of the fishing boats head straight here to unload their catch of the day to the vendors. You can then buy them while they’re still fresh and have the cluster of restaurants on the opposite side of the street cook them for you. The Phuket Lobster Festival is also held annually in Phang-nga Province so follow the Tourism Authority of Thailand’s website for updates on the next event. Sator (stink beans). Photo credit: Mimi Grachangnetara. Like durian – you either love it or hate the stink beans or “sator”. Also known as bitter beans, these stink bombs pack a flavourful punch and are usually enjoyed with stir-fried with fresh shrimps. Where to go: Stink beans can be found almost anywhere in the south as well as in Bangkok. Just go to your nearest local market and you’re bound to get your stink bomb fix. 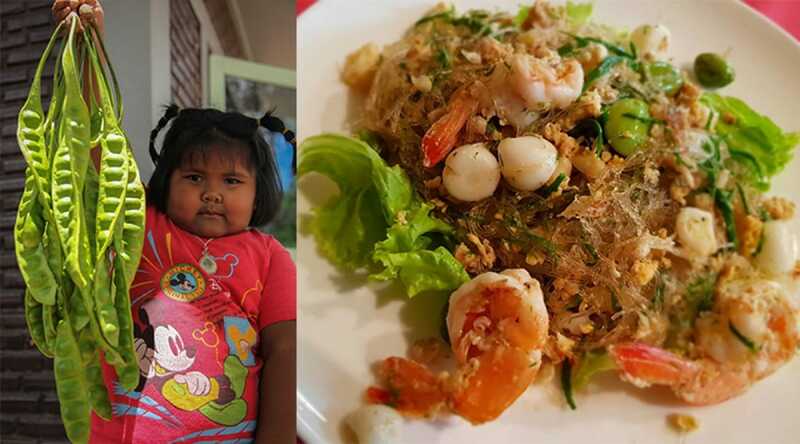 If you’d rather enjoy them at a restaurant, there are many in Bangkok that do justice to this southern star such as Bib Gourmand recipient Khua Kling Pak Sod. Sea grapes. Photo credit: Mimi Grachangnetara. If you feast your eyes on these sea grapes, you’ll understand where this species of green algae gets its name from. Known by Thais as sarai puang a-ngoon, they are found in abundance in the coastal areas of southern Thailand between February to May and are usually enjoyed as a healthy Thai salad or alongside a chilli paste dip. A hearty and healthy meal - just what the personal trainer ordered! 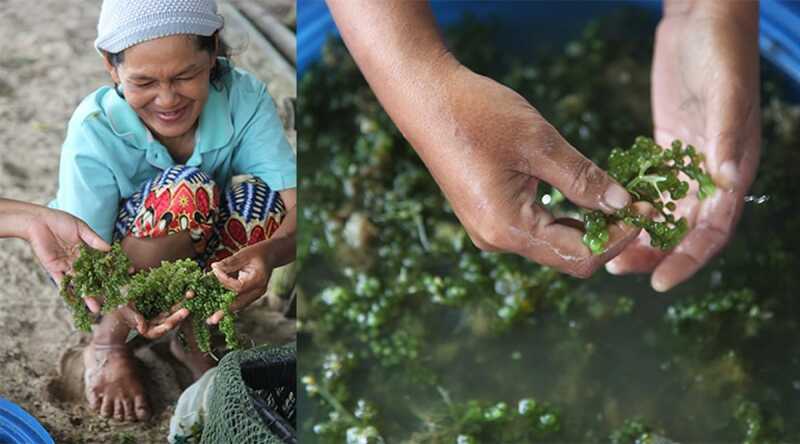 Where to go: Sea grapes are more readily available in Thailand’s southern coastal provinces since there are farms that cultivate them to cater to seafood restaurants. Bangkokians might have no luck finding them at the fresh markets but Japanese specialty food markets and upscale food markets would most probably stock them. 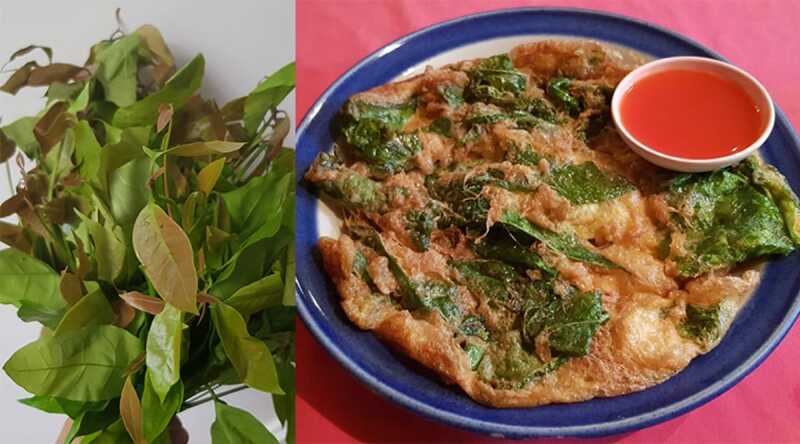 Raw miang leaves and miang leaves omelette. Photo credit: Mimi Grachangnetara. Ready for a Thai language crash course? Depending on which part of Thailand you’re in, these chewy, buttery leaves are known by a string of different names. Originally from Singapore, the miang leaf (as locals in the far south call them) is now a common ingredient in the kitchen usually enjoyed stir-fried with eggs. If you’re in Ranong, they’re called liang, in Nakhon Si Thammarat they’re called klieng, locals in Surat Thani call them riang while Chumporn foodies call them pak krarieng. Where to go: If you live in Thailand’s south, you can actually grow them in your own backyard! They require little water and minimal care - what more could one ask for? Toss the young leaves in a hot pan, stir-fry them with eggs and you’re in for a true southern treat! The rarely seen water onions. This rare water vegetation is one of the pride of the south – but like so many beautiful things in this world, they should be feasted on with the eyes. Because they are close to extinction, locals are very protective of this species and authorities are going out of their way to save them. Known as plub pleung taan in Thai, the water onion (Crinum Thaianum) is found only in Thailand’s southern provinces of Ranong and Phang-nga. They grow in running streams where their roots are submerged in water but the flowers blossom on the surface between October to December. 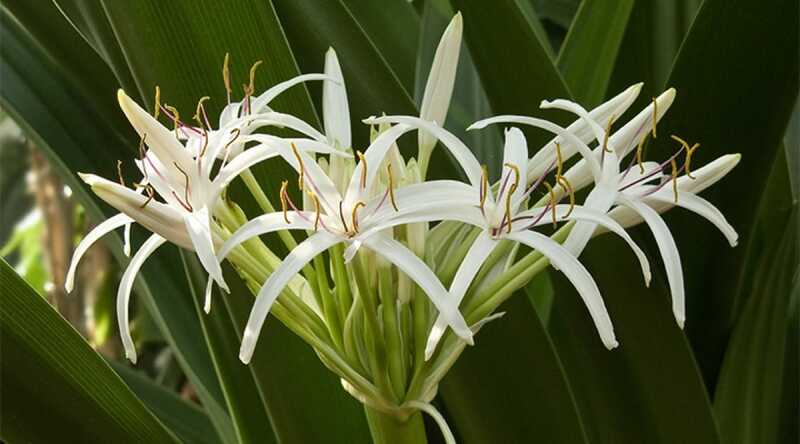 Where to go: The water onions thrive in running streams where their roots are submerged in water but the flowers blossom on the surface between October to December. Visitors can still admire their beauty in Klong Ta Luen and Klong Wat Suan in Phang-nga’s Kuraburi District and Klong Naka in Ranong Province. 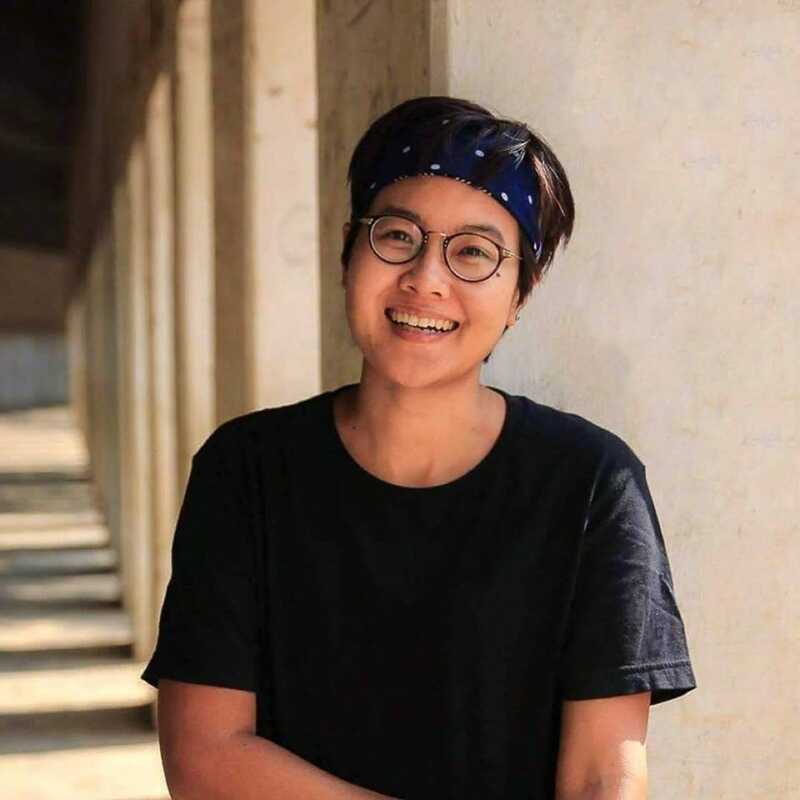 Mimi is a free spirit who believes that travel, photography and squash (the sport) are the answers to all of life’s problems. When she's not busy planking to stay in shape, she's either enjoying good food with loved ones or watching Netflix with her Jack Russell, Tristan. Taiwan boasts bountiful ingredients which have been used for cooking by the indigenous tribes over the centuries and are now being discovered and updated by modern chefs.